Ecuador was ranked as the #1 retirement destination in the world in 2014 and again in 2015 (and #2 in 2016). 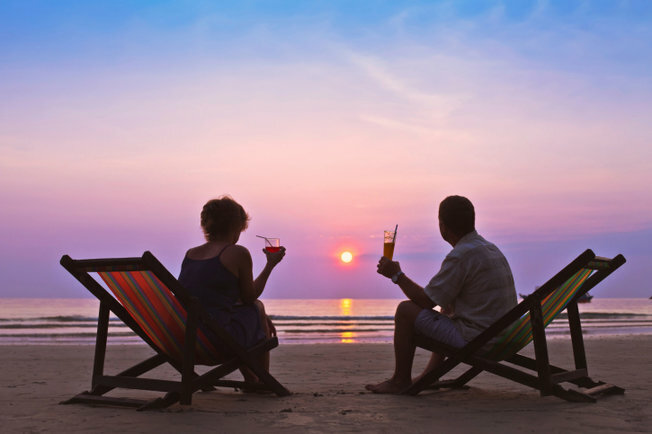 Apart from the great weather, inexpensive cost of living, and a host of other attractive advantages, Ecuador also boasts some great perks for people aged 65 and over. While government-mandated incentives for people of “tercera edad” (the equivalent of “senior citizens”) are geared towards its own citizens, foreign residents are afforded the same rights as nationals so all of these advantages apply to expats with Ecuadorian residency. Senior citizens automatically may go to the front of lines. Isn’t that great? The same applies to pregnant women and women with infants in their arms (which has been quite handy in my case!). This discount applies to public service transportation via buses and flights. My in-laws usually have to “remind” the money collector on local buses to get their 50% discount: “Disculpe, soy de tercera edad.” (“Excuse me, I’m a senior citizen”). For flights, you must purchase your plane ticket at one of the in-country agency offices (Avianca, Tame, Copa). Unfortunately, you are not able to get the senior discount if you make your purchase online. Even if the tickets are on sale, you are eligible for the discount. The discount is NOT applied to taxes and fees. When making your reservation you will need to show your cedula (the national ID card that you will receive once you are a resident). It’s worthy to note that these flight discounts include trips to the Galapagos as well as round trip international flights initiating in Ecuador. Note: This discount does NOT apply to other forms of transportation such as taxis, rental vehicles, boats, and trains. 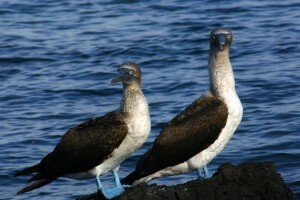 Your 50% discount includes airfare to the Galapagos. As residents (of any age) you will also enjoy $6 park admission compared to $100 for non-residents. If you exceed any of these monthly limits, you will still receive the discount up to the specified limit and then you will pay 100% on the excess consumption. You may receive this benefit as a renter as long as your name is on the utility bills. Folks who are 65 and over also receive 50% off tickets for cultural and sporting events, including movies. Again, you will likely be required to present your cedula as proof of age and residency status. 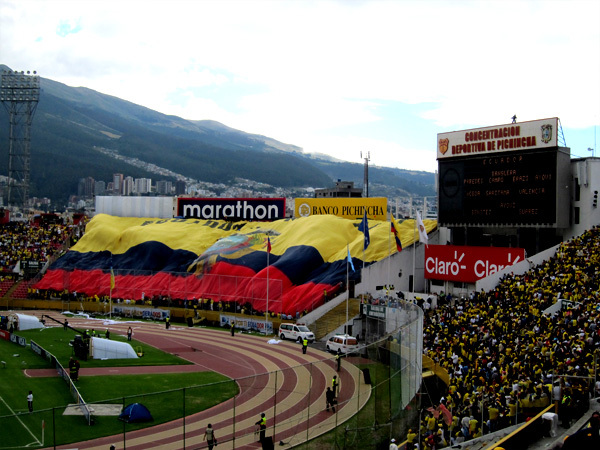 Attending a game of soccer (“fútbol”) in Ecuador is an experience to be remembered! Senior citizens are eligible to receive an reimbursement of their sales tax. 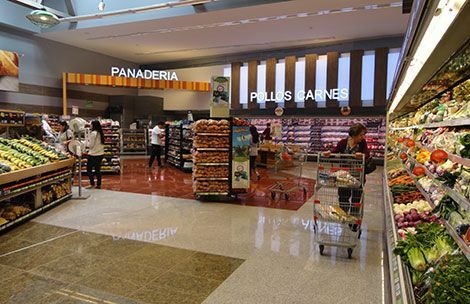 Ecuador’s sales tax on most goods and services is 12%. It is called IVA (“impuestos de valores agregados”) and is the equivalent of “value-added tax” or VAT. You will see this IVA charge added to your restaurant, grocery, hotel bills, etc.. There is another sales tax, ICE (“impuestos de consumos especiales”), whose value varies significantly, from 10% for soft drinks to 300% for firearms. Senior citizens are eligible to receive a reimbursement of their IVA and ICE; for 2016 the maximum annual amount is currently $1,830. Seniors can submit their reimbursement forms online and receive their monthly reimbursement in a matter of days as a direct deposit to their Ecuadorian bank account. Senior citizens are eligible to get their sales tax reimbursed each month for their food, housing items, clothing, transportation, communication, and cultural and sporting events. To set up your account with the SRI (the equivalent of the IRS), you are required to have a cedula, a copy of your Certificate of Visa Registration (“Certificado de Empadronamiento”) and proof of an Ecuadorian bank account in your name. When you register, you will be given a pin to access the website. Your receipts (“facturas”) must be in your name with your cedula number. Details can be found on SRI’s website (in Spanish). Note: If you are renting, you shouldn’t be charged IVA. Nor are you charged IVA for purchasing property. You do need to pay IVA if you rent out a space for commercial use. Income tax rates in Ecuador are based on one’s annual salary. This tax is paid when an individual’s net yearly income exceeds a certain limit and is called the “Impuesto a la Fracción Excedente.” For people over 65, the minimum income limit is doubled. For example, the minimum limit for 2016 is $11,170. In other words, senior citizens with a yearly income under $22,340 will not be required to pay any income taxes. When selling property, the seller is typically responsible for paying a municipal capital gains tax called “Alcabalas.” Senior citizens have the advantage of being exempt from paying alcabalas for the sale of a property valued at $183,000 or less (the equivalent of 500 times the monthly minimum wage, which for 2016 is currently $366/month). If the property value exceeds this amount, taxes are paid on only the excess. An interesting case study to be aware of is the example of a property owned by spouses, one of whom is 65+ and the other is under 65. According to Ecuadorian law, the property is automatically owned equally by each spouse, and thus each spouse in theory is responsible for paying 50% of the acabalas at closing. However, according to law, the 65+ spouse would be exempt so the actual cost of this tax would be half of the declared amount. 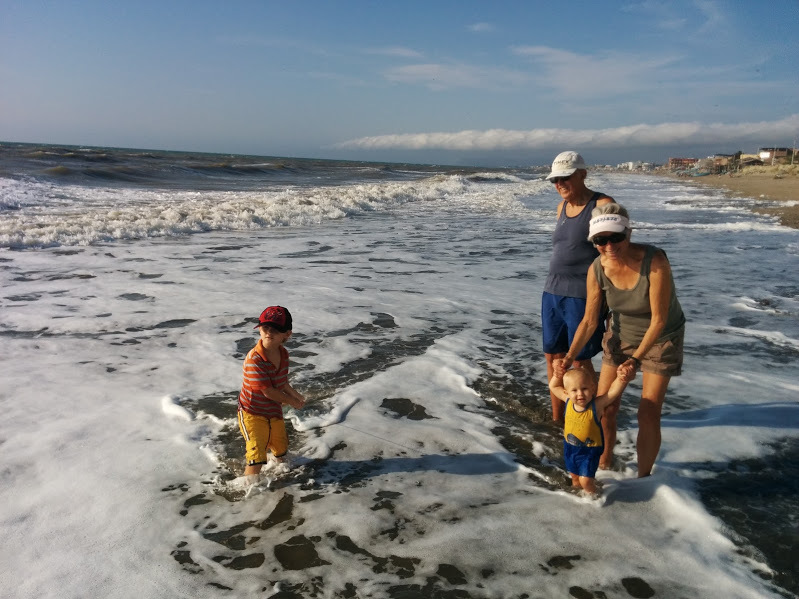 My in-laws have been enjoying their Ecuadorian residency here on the coast since 2012. Note: This post was created in April 2016 and any information provided here may be subject to change!